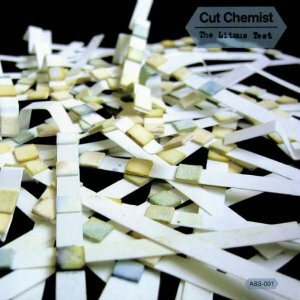 Cut Chemist's Litmus Test is a self-mixed retrospective showcasing one of the 1990’s great DJ/producers' repertoire. Originally released in 2004, the album ushered in his solo era as a precursor to his Warner Brothers debut release The Audience Is Listening. A mix of selected productions/mixes Cut Chemist had done to date - some for hire, some for pleasure, and many for the group he'd become famous with, Jurassic 5. This compilation is a good snapshot of his career, and makes one realize the level of talent that was quietly lurking behind the turntables in J5. Cut Chemist made a case that established his legacy as one of the greats of the era, expertly segueing and blending a catalogue of his own compositions, ending up with a new album, which turns out to be a real solid listen.